This is another 2 different flavors in a package. White bread contains white chocolate bar with milk cream. 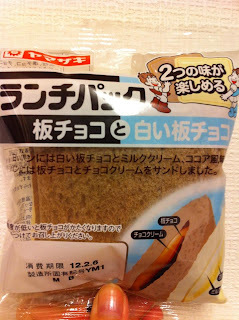 Cocoa-flavored bread has chocolate bar and chocolate cream.